The second in a series of books in association with the Royal Institution on their world-renowned Christmas Lectures, this time exploring the secrets of the natural world - with a foreword by Sir David Attenborough. Following on from the success of 13 Journeys Through Space and Time, which took us on a voyage of astronomical discovery through past Christmas Lectures given at the Royal Institution on space and space exploration, this book turns our attention to our own planet and the animals, plants, fish, insects and all the other living things that inhabit it - how they've evolved and the vital roles they play in the intricate webs of life on earth. 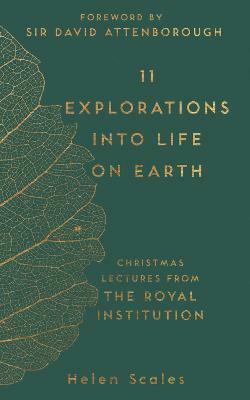 Taking eleven of the most exciting and revealing Christmas Lectures on the natural world given at the Royal Institution, including Sir David Attenborough's animal-packed Lectures from 1977 and Richard Dawkins's explosive series on the evolution of life, we take an illuminating look at more than a hundred years of scientific exploration to discover the origins of life on our planet and the mysteries so far uncovered.